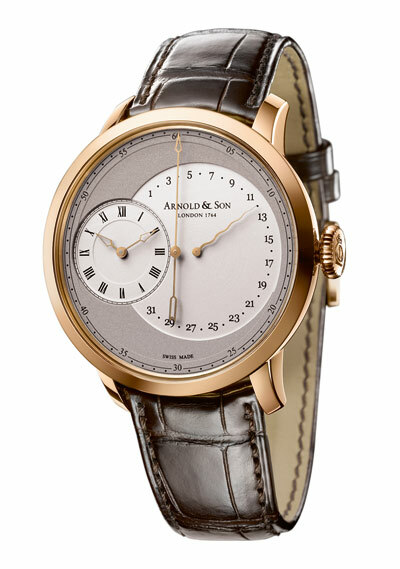 Explore the history behind the Arnold & Son Instrument Collection with the navigational allure of the line’s first watch, the TBR. A nautical navigation turned classic timepiece. The watchmakers at Arnold & Son have long sought towards a higher goal than just luxury watch creation. The founders’ love of the craft drove them to dedicate themselves to achieving absolute precision and the ability to do more with a watch. That same passion drives the craftsmen today and yields some of the finest timepieces available. The Instrument Collection is the proud result of that quest for quality and depth, reflecting the reality that during the time of John Arnold and his son John Roger, timepieces were essential to nautical navigation. Under the influence of the British Royal Navy as rulers of the seas, Arnold and his son made watches that were rugged and reliable as possible, both functional and attractive. Not just accessories and useful jewelry, watches were technical instruments upon which depended life and death. 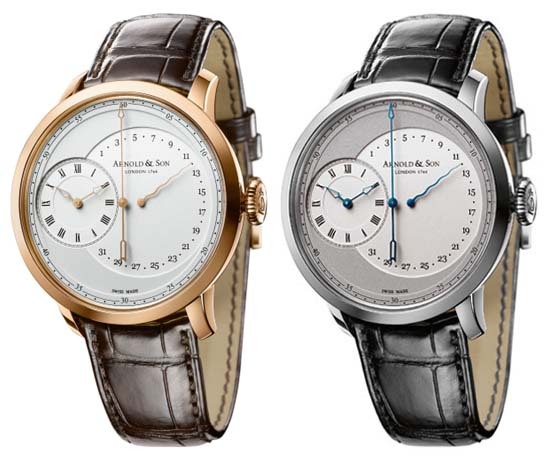 These pieces incorporated chronometric dials with hours and minutes in a balanced design. Mimicking this arrangement, the Instrument Collection presents watches that proudly herald the time of the brand’s inception and the beauty of where it all began. The TBR is the first member of this line, and with a name representing the hallmark of the watch’s two complications, True Beat and Retrograde, it represents elegance in simplicity. The True Beat refers to a highly precise complication which allows careful measurement of the seconds. The date dial which counts out the days of the month and automatically reverts to the 1 on the first of the month, is a little used complication called Retrograde. 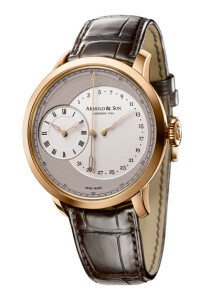 In this twist, the seconds complication is the entirety of the face, as the hours lay slightly to the side. This focus on the smaller units of time hearkens again to the mariner navigators, who required down-to-the-second knowledge of time in order to determine longitude. And on the high seas, it is enough to know the day of the month–as long as you can recall which month you are currently in. Not only were the complicated calculations of the long ago Navy eased in this design, stylistically for today there is a pleasant aesthetic quality to this ancient layout. And for the history buffs, it is a conversation piece, to discuss the use of a watch once on the high waves of Britain, now proudly on your own fashion wise wrist.